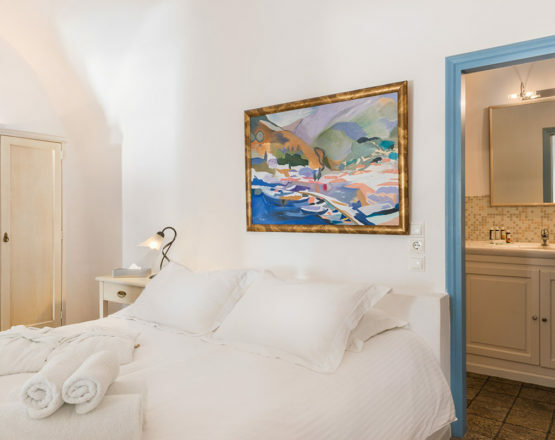 Settled at a reconstructed traditional family house, Pantelia Suites has five luxury suites and two standard double rooms. 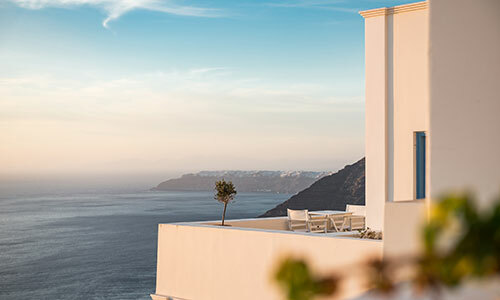 The Suites are located at the capital of the island, in Fira, from the side of the Caldera cliff, fully exposed to the celebrated volcano view and to the famous ‘Santorini sunset’. 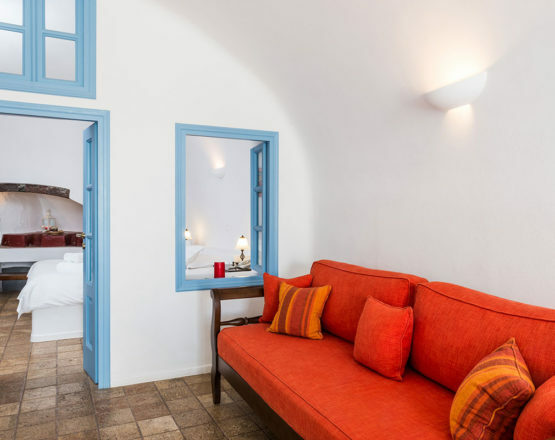 The Suites are constructed with respect to the architecture of the island, which is also reflected in the interior design and furniture. 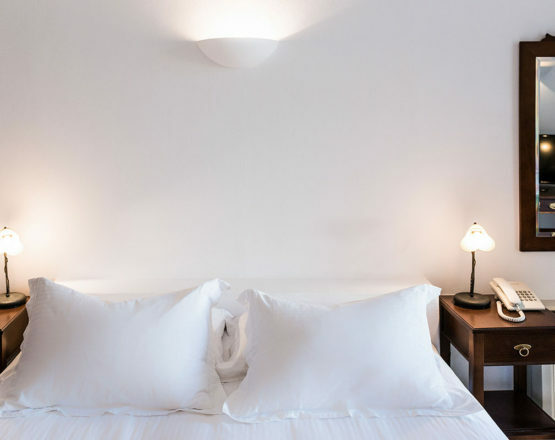 Combined with all modern comforts and facilities, a high level of service from the experienced personnel of the hotel is also provided. The visitor enjoys privacy and a refreshing atmosphere, ensured by thick walls and air conditioning, even when the sun is burning. The hotel is unfolded in three levels. The suites are located at the two lower levels. The view to the volcano is panoramic from all suites. 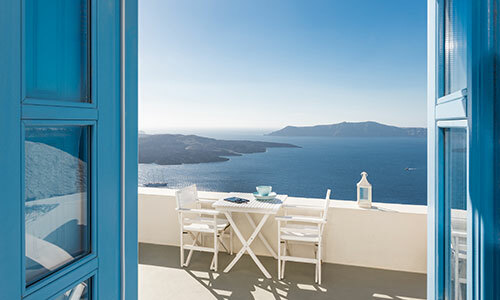 Especially from the third (upper) level, one is able admire the view to the entire Caldera, and the city of Oia down the south part of the island. 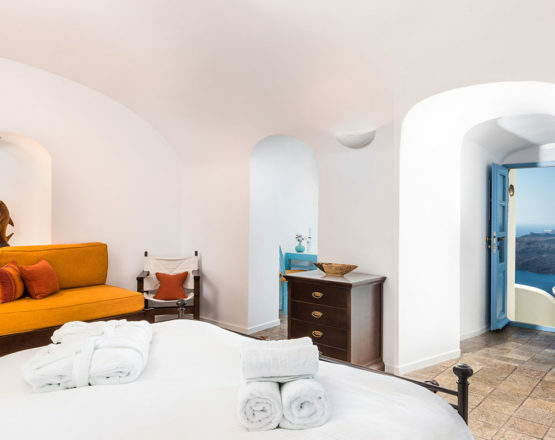 The outdoor pool and the pool bar are located at the third level.The reception is located at the low (first) level, in a cave construction, where they once used to produced wine, the thus-called “canava”. 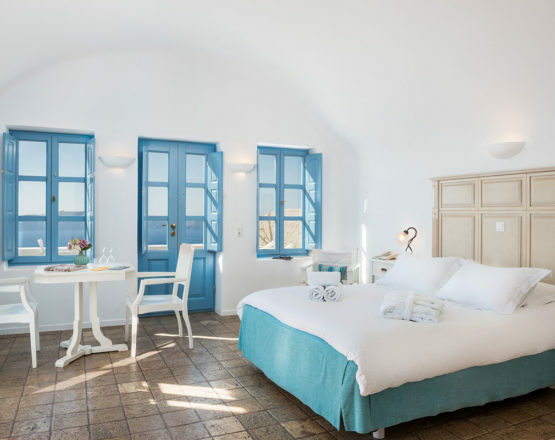 We loved our stay at Pantelia Suites in Fira, Greece. We were treated like family. From the start of our trip, when George met us at the roof top deck to overlook the sunset with two glasses of wine, through our final check out. George, Dimitri and the rest of the staff took care of all our needs. Excellent restaurant recommendations, they arranged for cars, help to coordinate excursions, and arranged airport pickup and drop-offs. The staff were constantly checking to make sure we were satisfied with our stay. We always felt comfortable and made to feel special. We highly recommend this hotel. Location is perfect. View is amazing. Bed was comfortable. Everything was as advertised and met or exceeded our expectations. 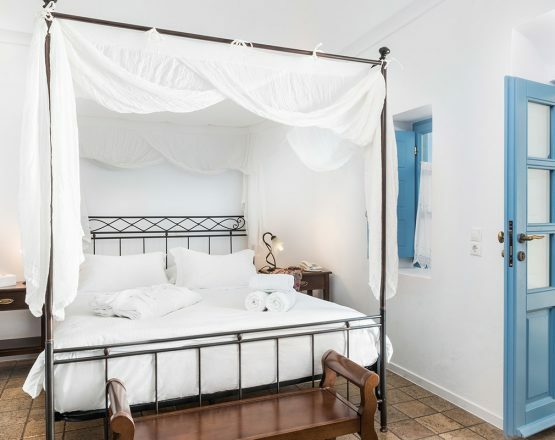 We would not hesitate to re-book and stay here again. Book your suite now using our secure online booking system using your credit card.